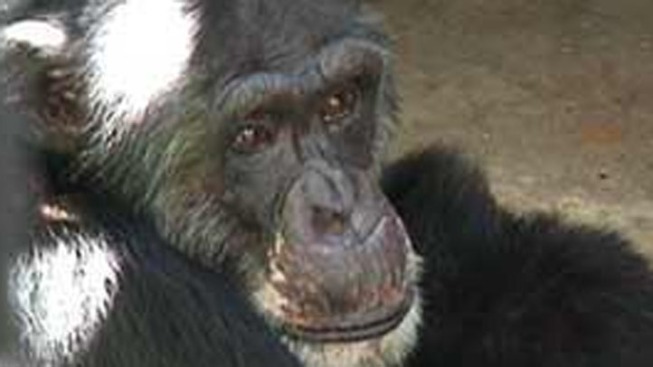 Two pregnancies have occurred at a retired chimpanzee sanctuary in Shreveport, La. this month, in spite of male chimps having received vasectomies. “We don’t know if that’s the case here or if the original vasectomy (at another facility) hadn't’t been done as well as it could be,” Chimp Haven sanctuary Director Linda Brent told The Associated Press. The first pregnancy was discovered on Valentine's Day. A worker discovered a 29-year-old chimp named Flora was carrying its newborn chimp. Seven other females were then given pregnancy tests. It was from that testing that a 49-year-old chimp, Ginger, was also confirmed pregnant. The baby is due in July or early August, Brent told the AP. After the unexpected pregnancies, all females have been put on birth control, while males will get another round of vasectomies. This isn't the first time the male chimps at Chimp Haven have fought back against modern science. One male, Conan, was snipped twice after he fathered a newborn in 2007. Another chimpanzee was also snipped twice. Brent said that chimps, over time, manage to grow back the tubes that carry sperm to the testicles. Brent said the next round of vasectomies will use a different procedure.